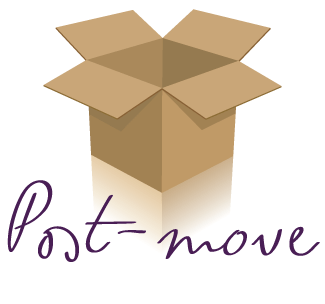 Professional packing, unpacking, and organizing services across America that will get you moved in so you can move on… with LIFE! You’re moving. There are a myriad of tasks to complete – selling your home, packing, address changes, career changes, new schools, new neighborhoods, transferring utilities, saying goodbye, pet transition, child transition…. Yes, we get it. We know this is one of the most stressful times in your life and that, when you are right smack in the middle of everything, handling it all is challenging to say the least. That challenge is what led our owner, Annette Reyman, to the decision to offer services that can make the transition not just less stressful, but actually more pleasant! Annette’s family of five moved around the U.S. for over twenty years with her husband’s corporate job at UPS. Sometimes they were living in a home for up to 5 years, and other times moving on before year two! Buying, selling, staging, packing, and unpacking became Annette’s forte led her to launch All Right Organizing, offering professional organizing services for both residential and small-business clients. Annette, a Villanova University graduate, fortified her business model with an educational path of learning that included membership and active involvement in the National Association of Productivity and Organizing Professionals (NAPO©). Our affiliation with this NAPO-network is one of the facets that distinguishes our services from others. 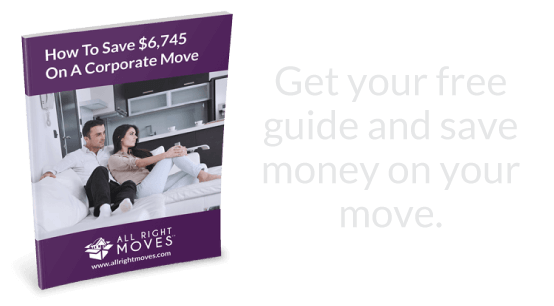 When you hire an All Right Moves™ team to help with your move, you are getting a team of Professional Organizers who are educated in the areas of organization, productivity, design and flow, care about their profession and about their own reputations, and care about the clients that they serve – YOU. Nationwide, staged houses sell faster and at higher prices. The cost (extra months of mortgage and tax payments) of a delay in home sale is avoided. All Right Moves™ professionals remove the burden of having to decide on how to dispose of unwanted (but still good) furnishings by coordinating with local charities to ensure that these pieces are carefully removed and donated to benefit other families in the area. Our professional organizing team meets you at your new location and gets started unpacking right away. Families get settled more quickly and return to work and life faster. Moving is stressful. Whether you are single or have a family, you will feel some amount of anxiety during your transition. Work responsibilities change, home environment changes, local surroundings are different. There is a long list of details pertaining to all of this that need to be addressed urgently. Many “unpack” services actually do a dis-service when they leave the home disorganized and the new owners in a state of chaotic panic. Our teams of professionals provide both physical and mental support to all involved. Organization is shown to be key to executive functioning. 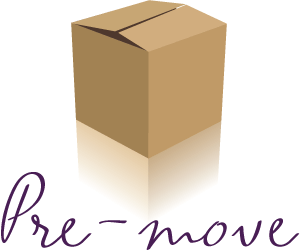 All Right Moves™ uses Professional Organizers that set up systems that are custom fit to support you and your family. Whether it is a single or married lifestyle, a family with young children, teenagers or the addition of Grandma in the mix, care is taken to set the home up for its best functioning, allowing for all affected family members to focus on settling into their new life. Your home will be unpacked and organized – top to bottom, room to room – in a matter of days (not months or even weeks) enabling your entire family to move in and move on! 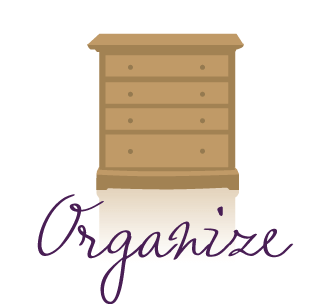 Now that you are moved in, we offer discounts for future organizing services. 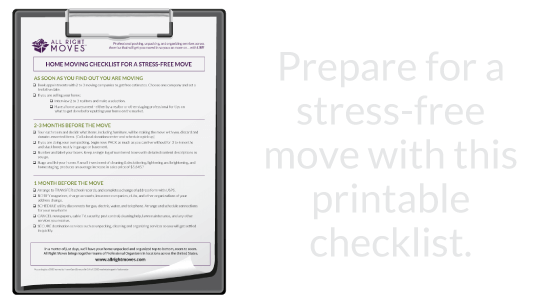 During your unpack, you had a chance to preview the multiple styles of several organizing professionals. Afterward, you can continue on with the one that’s right for you and tackle other organizing projects in your life! This value added bonus can be used 3 months, 6 months, or even a year down the road. Another advantage of using All Right Moves™ to get settled in, is that you are immediately introduced to local Professional Organizers, while having the opportunity to “test drive” their services in your new home. The organizers that participate in our jobs are individually licensed and insured. Each of these organizers has their own methods and specialties, offering a broader scope of service to the team. Following the move, we will continue to provide support by offering significant discounts on future organizing services. Home Inventories, Holiday Prep, Photo Organizing, Office & File Management services are just some of the ways our network your family! No matter which options you choose, you’ll be happy that you called All Right Moves! Guaranteed. In a matter of just days, we’ll have your home unpacked and organized top to bottom, room to room. All Right Moves brings together teams of Professional Organizers in locations across the United States. Service you can rely on. Every time.